Quicksilver Scientific Nanoemulsified Colorado Hemp Oil is made to bring you the best & most bioavailable in CBD cannabinoid supplementation. May provide nutritional support for immune, pain, and stress response, cardiovascular health, and more! Earn up to 59 DR Reward Points. 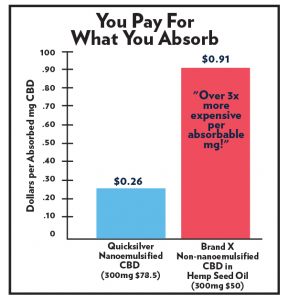 While Quicksilver Scientific Nanoemulsified Hemp Oil might be more expensive per bottle then generic hemp oils, the price per CBD-absorbed is unbeatable! CBD oil supplements have recently gained a lot of positive buzz for their ability to activate cannabinoid receptors without producing psychoactive effects. These receptors can be found throughout the human body and may play a supportive role in the healthy function of the immune system, neurotransmissions, and even pain response. 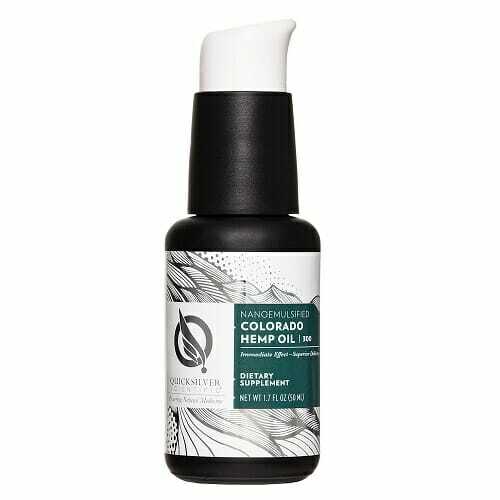 Quicksilver Scientific Colorado Hemp Oil is designed to bring you the best and most bioavailable in CBD supplementation. 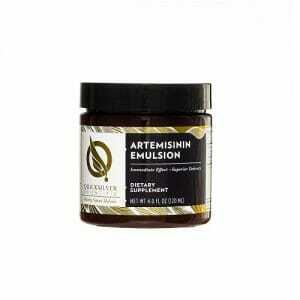 Contains 21 mg of hemp extract and 12 mg of Phytocannabinoid Diols in an all-natural and nanoemulsified formulation. Completely free from psychoactive or mind-altering properties. 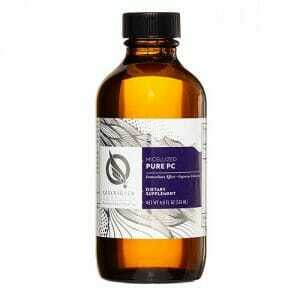 Natural citrus oils greatly improve flavor as compared to other CBD oil supplements. May provide nutritional support for healthy immune and pain response, cardiovascular and gastrointestinal functions, antioxidant and anti-inflammatory activity, cognitive function, and more. Quicksilver Scientific delivery system is designed to greatly improve the otherwise low bioavailability of CBD in the human body. 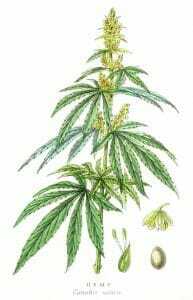 Due to legal complications surrounding the recreational use of hemp plants, a great deal of their nutritional potential has been completely ignored. Now, the doors have been opened, and modern research has continued to unveil the astonishing health properties of chemical compounds which can only be found within hemp plants, Cannabis Sativa in particular, the most notable of these compounds being Cannabinoids. These cannabinoids can take many forms, most of them possessing psychoactive properties which result in the recreational drug use of Cannabis Sativa, or Marijuana. 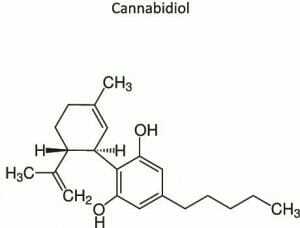 However, one particular compound known as Cannabidiol, or CBD, does not contain any of these psychoactive properties, and is thought to possess great potential for nutritional health support via the activation of cannabinoid receptors throughout the body. Cannabinoid receptors fall into two categories conveniently named cannabinoid receptor type 1 (CB1) and cannabinoid receptor type 2 (CB2). CB1 are thought to be one of the most widely expressed G protein-coupled receptors in the brain. They play an important role in GABA and other neurotransmissions, and may therefore have an impact on stress and anxiety response and other aspects of cognitive function. They may also be supportive of pain response, cardiovascular health, and gastrointestinal function. CB2 are also G protein-coupled receptors which function very similarly to CB1 in their support of various cell transmissions throughout the body. They are distinguished by their expression on the T cells of the immune system. As such, they are thought to be essential to immune response and may play an even greater role than CB1 in support of healthy pain response. The body is able to organically produce certain varieties of Cannabinoids, known as Endocannabinoids, as a means of activating cannabinoid receptors. However, complications in this production may occur and contribute to a number of health complications. The reason that CBD is so widely sought after is that it is able to stimulate and activate these essential G protein-coupled receptors without producing any psychoactive effects that other plant-based Cannabinoids are known to produce. Essentially, you get all of the nutritional benefits of hemp, divorced from any of the properties which may be harmful to the human body or otherwise mind-altering. As if all of these benefits weren’t enough, one study has also indicated that CBD may also be particularly useful for supporting antioxidant and anti-inflammatory activity via their interactions with immune cells.1 Quicksilver Scientific Nanoemulsified Full Spectrum Hemp Extract is a potent source of CBD with an advanced nutrient delivery system for further support of bioavailability. If you’re looking for the most effective CBD supplement on the market, look no further than Quicksilver Scientific Broad Spectrum Hemp Extract. Note: Best used within 60 days of opening. Take 3-10 pumps by mouth up to 4 times daily. Hold in mouth 30 seconds before swallowing. Repeat as needed or as directed by healthcare professional. Repeat as needed or as directed by healthcare professional.